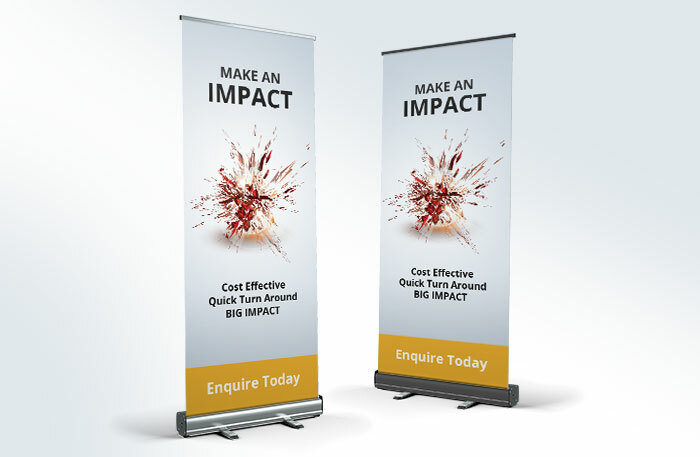 All our banners are made of 340gsm Premium Polyester, making them tear, water and scratch resistant. They also come with a carry bag for easy transportation. 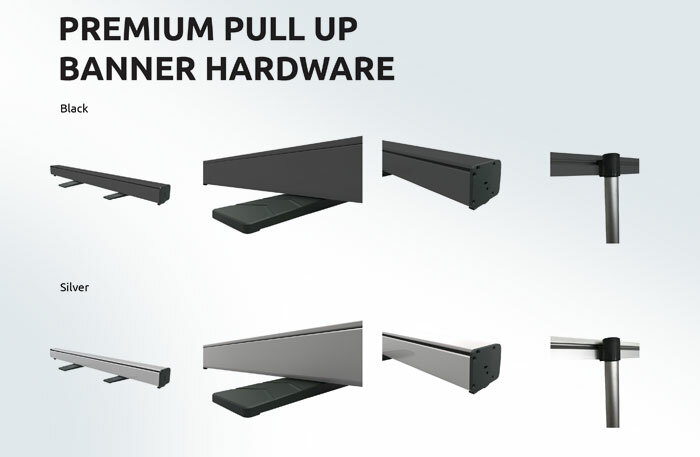 Choose from our Premium or Deluxe Pull Up Banner bases in either silver or black. lighter, sleeker and more sturdy. The new patented design features dynamic retraction and extension for easy assembly, a recycled plastic internal cartridge, and two high grade plastic protruding feet. A thick vertical pole clicks and grips the top rail in place. Perfect for indoor promotional opportunities. Artwork MUST be High resolution PDF or JPG, 300dpi quality CMYK images. Allow up to 5-7 working days + delivery time.